The IB Diploma Programme offers a variety of subjects to its students. Visual Arts is a course that allows its students to express themselves and their creativity to the student body. Just like any other IB subject, the course comes with a multitude of advantages and disadvantages. In contrast, there’s no doubt that taking IB Art is extremely beneficial as well. Both students were quick to bring up a multiple advantages of taking the subject. “You are able to go at your own pace and there’s a lot of freedom of expression since art is meant to have no limits.” Nicole says. “The most notable advantage in my opinion is the fact that taking art means I have one less exam to take in May. 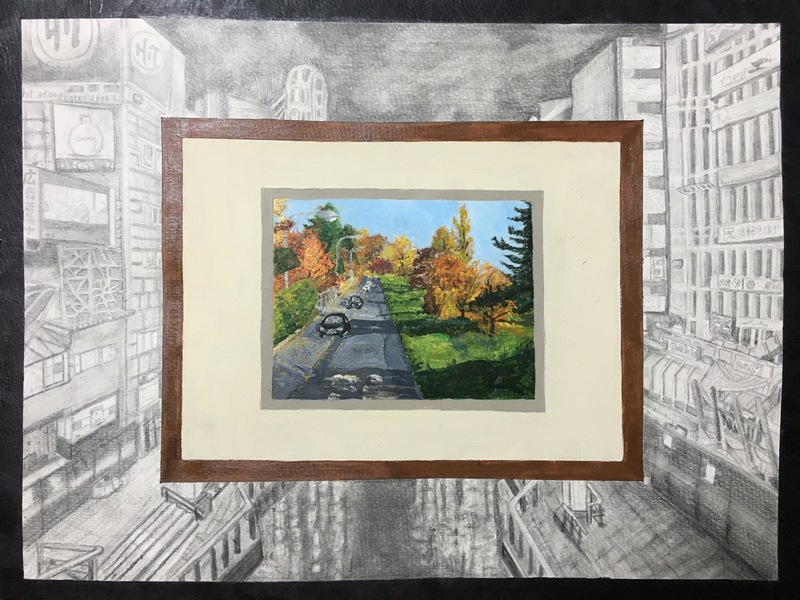 Art is meant for freedom of expression and taking the subject gives me a platform to do so without compromising my ability to focus equally on other classes.” Ayaka says. ‘Traditional’ core subjects, but this is not the case. If you eventually decide to take IB art, make sure that your passion for the arts is enough to fuel you to work for hours on end producing artworks.